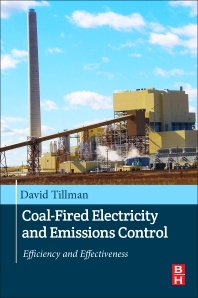 Coal-Fired Electricity and Emissions Control: Efficiency and Effectiveness discusses the relationship between efficiency and emissions management, providing methods for reducing emissions in newer and older plants as coal-fired powered plants are facing increasing new emission control standards. The book presents the environmental forces driving technology development for coal-fired electricity generation, then covers other topics, such as cyclone firing, supercritical boilers, fabric filter technology, acid gas control technology and clean coal technologies. The book relates efficiency and environmental considerations, particularly from a technology development perspective.